In 1995 I called myself “relocating” to Los Angeles to work on a music project and to make a name for myself in TV and film. Forget making a splash in Hollywood, I was going to create a tidal wave. Two weeks went by and I was clear about one thing: I hated La La Land! The only water works I was creating were the tears I cried at night as I longed to get back to the Bronx. My move was one disaster after another. One project I had secured fell through and the producers of the other music project I was working on rummaged through my belongings and stole my DATs and CDs of original music. My bi-polar host in West Hollywood was off of her meds and found it necessary to argue with me about my man and about my life and in fact through me out of her home because she couldn’t take my “lack of focus.” And oh yes, whether I was at a brunch, a dinner party or at the beach, most of the convos I had were as deep as a baby pool—work-out routines, types of weaves, and best salads were the topics du jour. Needless to say I was ready to move back to NYC with a quickness and did so after only being out West for eight weeks. Honestly there weren’t too many highlights from that experience, but there were a few. Going to Seattle and discovering Snoqualmie Falls was an unexpected highlight. Oh and having Regina King come and scoop me up after being thrown-out of my living situation and then having her wanting to kick said host’s booty too was a major highlight. Regina, as most of us can attest is a great actress, but let me tell you she also keeps it real when there are no cameras or scripts and is one of the most authentic peeps I know. And I would have to say my last highlight was discovering Trader Joe’s. I had never experienced a grocery store like that before. In fact, grocery shopping had never even been an experience. You see TJs was out in Cali back in the 90’s long before opening shop out east. The offerings were vast yet still tasty and unique and everything was affordable to my hanging-on-a-shoestring budget. 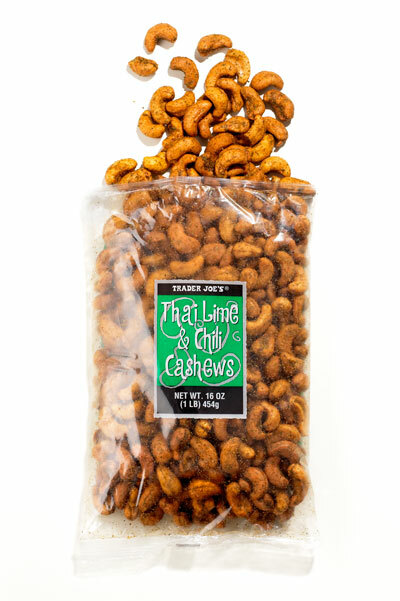 Now that Trader Joe’s has opened in NYC, I can stop singing “Going Back To Cali” and can hop on the M7 bus to get my Thai Lime & Chili Cashews. The offerings are perfect for a single grrrl like me because the portions are just right. I may not be Goldilocks, but the family pack of chicken wings at Pathmark is way too big and Whole Foods is way too expensive. Their frozen prepared meals are also ideal because they usually don’t take more than 20 minutes to make. When working from home I need something quick. Real talk: there are no one-hour lunch breaks when you work for yourself unless it’s a lunch meeting. I especially love their raviolis and Indian food. It’s my kind of fast food– healthy, satisfying and mad tasty. And no doubt I’m not alone in my TJ love because I’ve had the most awesome conversations about this super supermarket with my grrrls who also like to save money, whose children love the food and who are madly addicted to TJ’s dark chocolate covered almonds with sea salt. I’m not sure if it’s because of the recession, our desire to be healthier or our love of the free samples, but our talks about Trader Joes have certainly been more substantial than say, which celebs were eating out at the Ivy over the weekend. 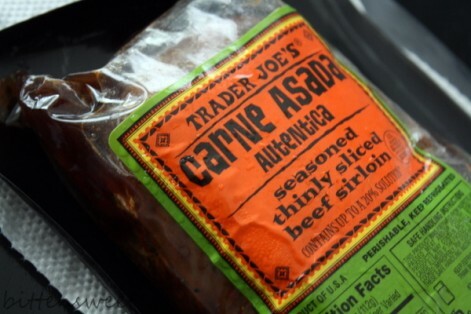 I don’t eat a lot of red meat, but when my homegrrrl Sophia turned me onto this spicy sliced sirloin I knew I was hooked. It’s so well seasoned and pretty lean. Tastes great grilled! The sea salt and olive oil is the perfect combo. It’s healthy and crazy addictive! Honey-roasted are for kids. These are grown folk nuts! 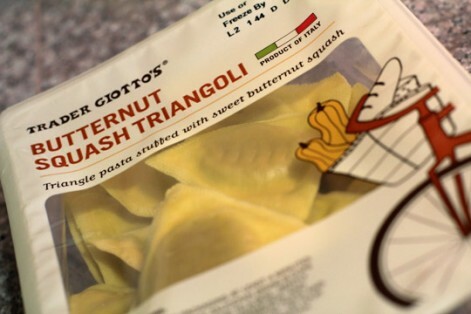 It’s sweet, savory butternut squash stuffed into buttery pasta triangles. What more is there to say? Toss this in a nutty brown butter sauce and watch your toes curl. Buittoni ain’t even on this yet. This is ridiculously good. It’s sweet, spicy and salty all at once. 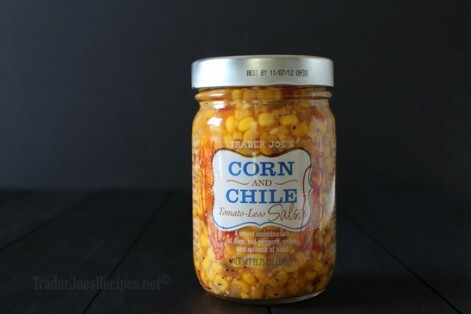 I put this on EVERYTHING– nachos, grilled salmon, carne asada, tuna fish. I even put it on apple slices and it was nothing short of masterful! This usually ends up on the table at my dinner parties and is usually the first thing to go. 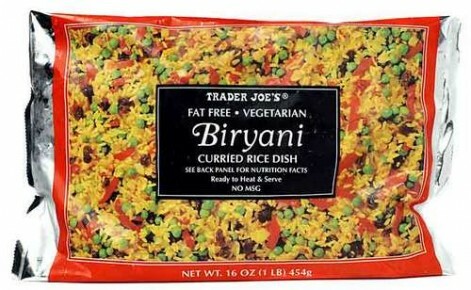 TJ’s has some great Indian food and this rice dish is no exception. Mild curry, raisins, peppers, veggies. It’s the Biryani bomb-dizzle! I’m not a big lover of cauliflower. Maybe bought it once. 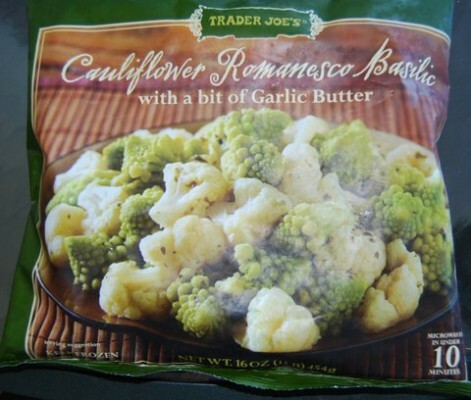 And I’ve only seen romanesco on the Food Network and probably would have never bought the pine shaped wannabe broccoli florets fresh, but for some odd reason one day I bought this Trader Joe’s mix and fell in love. Maybe it’s the hint of butter and garlic that got me open. Not sure, but this veggie dish tastes as good as it looks. Note: This is NOT a sponsored post. I’ve really been counting my pennies this summer and went to Trader Joes over the weekend and was so hyped by the amount and quality of food I purchased and how much money I had saved that I tweeted about it. 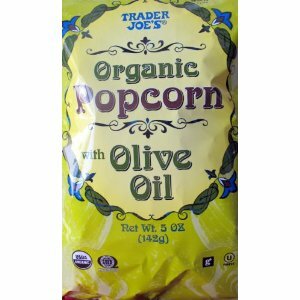 I got plenty of RT’s and mentions so I decided to create a post about my love for Trader Joes. 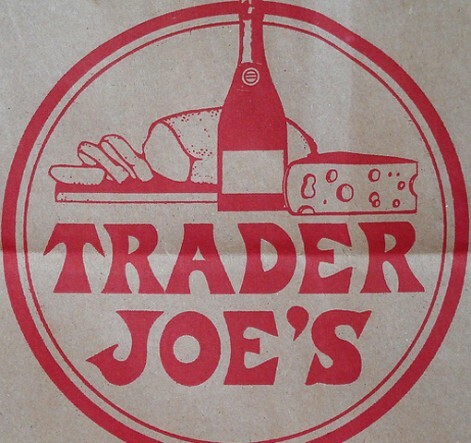 Yup, I love Trader Joe’s from living in Cali…I used to live within walking distance of one. Right now I buy nuts, 100% grass-fed beef (sometimes they have it and when they do, it’s a good price), almond butter, coconut oil and 72% organic fair trade dark chocolate. When I was writing this I was totally thinking about you. We usually like the same stuff. I still remember your favorite Whole Foods foods post! I <3 Trader Joe's. Luckily we have plenty to choose from here in the DC area. My favorite TJ products are the selection of cheeses….yummy! I love the Roasted Seaweed Snacks and the cheap ole’ 2.99 red wine. I’ve been ‘eyeing’ the rice and cauliflower. So since you say it is good I will try them! Girl you ain’t never lied on that Biryani rice! I love making that when company is over and acting like it was made from scratch. Pow! an hour in merely because of the vast amount of wonderful options. Brown rice that is ready made & can be microwaved in minutes. Assorted frozen entrees that can take you a to taste of Thai, Italy or even Mexico. All made with flavor & pocketbook friendly. Marcona Almonds in different favors & having to remind myself Bet you can’t just eat one. Hands down far better then Other Placesthat can triple the cost. I am now addicted to the chocolate covered potato chips. OMG. They are like crack! Girl! lets talk about the Greek style honey yogurt and the sea salt dark chocolate covered pretzels. Brain food. I also loke their Indian tv dinners. I will look for the yogurt and sea salt pretzels next time I’m there!